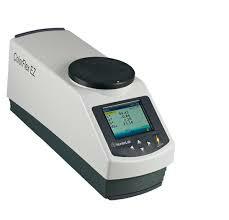 Rheological properties of sols are investigated by using a a concentric cylinder VISCOSIMETER (model DV-II+ with UL/Y adapter) from Brookfield. The pore structures of the gels are characterized by NITROGEN PHYSISORPTION (Sorptomatic 1990, from Fisons Instrument). The chemical bonds of the nanomaterials are analyzed by FOURIER TRANSFORMER INFRARED SPECTROPHOTOMETRY using a IRAffinity-1S from Shimadzu (4 cm-1 resolution) in the region from 4000 to 400 cm-1. 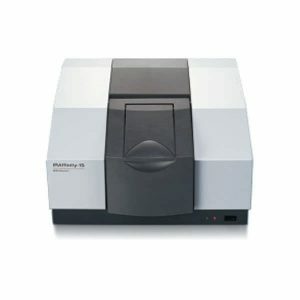 UV-VIS SPECTROPHOTOMETER model UV-2600 from Shimadzu is routinely employed for the characterization of metallic nanoparticles and for photodegradation measurements of colored pollutants. The integrating sphere attachment allows the characterization of solid samples, including the measurement of the band gap in photocatalysts, and the evaluation of the degradation of contaminants such as fatty acids. 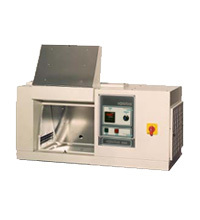 DYNAMIC LIGHT SCATTERING (DLS) model Zetasizer Nano ZS from Malvern Panalytical. This technique allows to study the particle size distribution of nanoparticles in dispersion through a wide size range (10-3-10 μm). 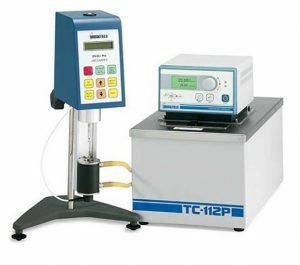 The instrument also allows the measurement of the Zeta potential, related to the charge distribution over the particles. 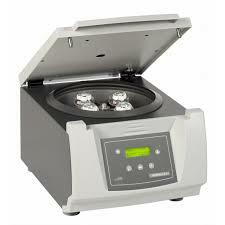 HIGH SPEED CENTRIFUGE model Digizen 21 from Ortoalresa. 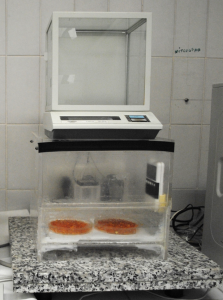 This is a fundamental equipment for the preparation of nanomaterials due to the high revolution speed reached (13000 r.p.m. ), which allows to separate extremely small nanoparticles. ULTRASONIC PROBE model Sonopuls from Bandelin. 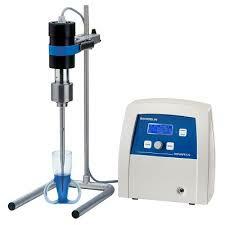 The sol-gel synthesis is assisted by means of ultrasonic agitation, which allows a higher homogenization of the emulsions than the mechanical agitation. 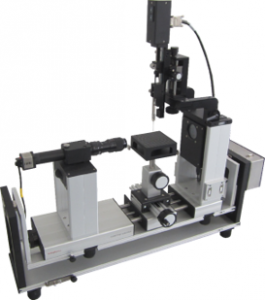 Improvement in the mechanical robustness of the substrates after the products application is evaluated using THE DRILLING RESISTANCE MEASUREMENT SYSTEM (DRMS, SINT Technology). 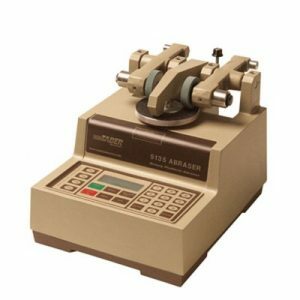 We evaluate changes in the mechanical resistance of the substrate by means of the VICKER HARDNESS TEST, using an Universal Centaur RB-2/200 hardness tester. 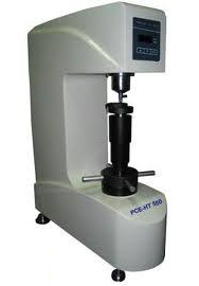 We evaluate changes in the pore structure of the substrate by means of the ULTRASONIC RATE TESTER model BP-7 from Cullman. Changes in the pore structure of the substrate after the products application are also evaluated by MERCURY INTRUSION POROSIMETRY (MIP, Pascal Porosimeter from Fisons Instruments). 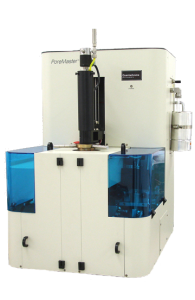 WATER VAPOR PERMEABILITY is determined using an automatic set-up developed in our laboratory, based on the standard cup test. More information about the procedure in: “M.J. Mosquera, D. Benitez, S.H. Perry, Cem. & Concrete Res., 2002, 32, pp 1883-1888”. The changes in color of stones or other building materials after products application are determined by using a SOLID REFLECTION SPECTROPHOTOMETER, Colorflex model, from Hunterlab. 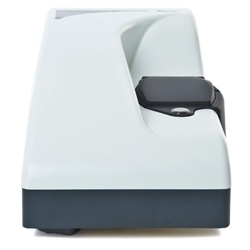 PORTABLE COLORIMETER SPECTROPHOTOMETER model PCE-CSM 4 from PCE Instruments a portable version of the previously described equipment, which allows to carry out in situ measurements. 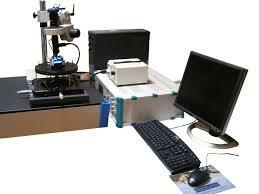 The effectiveness of the coating materials in providing hydrophobic protection are characterized by MEASUREMENT OF THE CONTACT ANGLE according to the sessile drop method, using a commercial video-based, software-controlled contact angle analyzer, model OCA 15plus, from Dataphysics Instruments. ROTATORY ABRADER model 5135 from Taber Industries. 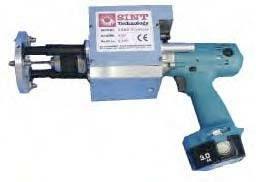 This equipment is employed for the evaluation of the resistance against decay by abrasion of the building materials and the coatings applied for their protection. 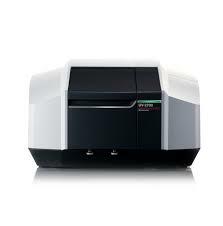 PICNOMETER model UltraPYC 1200e from Quantachrome Instrument. 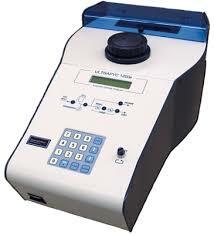 This equipment is employed to measure the real density of the materials under study. 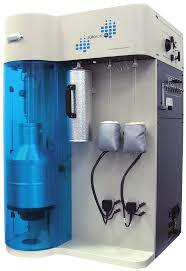 CLIMATIC CHAMBER model Solarbox 3000eRH from CO.FO.ME.GRA. It is equipped with a xenon lamp simulating the sunlight spectra (namely, visible and near UV light), and allows control over the irradiance of the lamp, relative humidity and temperature. 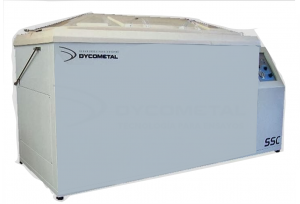 This equipment is suitable for the evaluation of photocatalytic materials and durability studies. 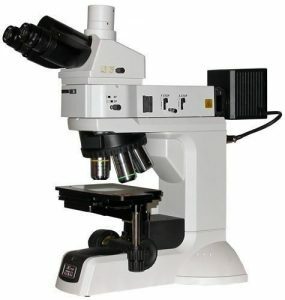 OPTICAL MICROSCOPE (model ECLIPSE LV150 from Nikon) and STEREOSCOPIC MICROSCOPE (model SMZ800 from Nikon). 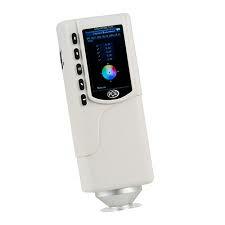 They allow observing in detail the materials and acquire images through an attached CCD camera. Since soluble salts are one of the most pernicious agents responsible for the decay of stonework, we evaluate the resistance of stone treated with our novel products to salt crystallization by using a SALT MIST CHAMBER (Dycometal) according the standard UNE-EN 14147. 204. Natural stone test methods. Determination of resistance to ageing by salt mist. AENOR.